Iman Ali photoshoot for a Jewellary Brand ! Iman Ali is a beautiful young lady. She is a 34 years old Pakistani actress and super model. She was born in Lahore in 1980 . 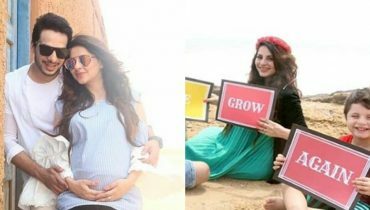 His father is Abid Ali who is also a popular television actor. She began modeling after being discovered by photographer, Shahzad Raza. She got fame in India as well as in Pakistan. Once Iman Ali received the Lux Style Award in 2006 for Best Dressed Celebrity. She also recieved best actress award in 2008. Today she is much sought out personality after top model and actress. She began her career with appearing as Anarkal in a music video “Ishq Mohabbat Apna Pan ” by Shoaib Mansoor. 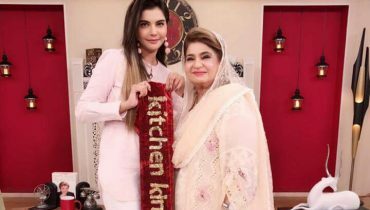 She later appeared in the popular TV series Qismat. She played the role of Maryam in the movie, Khuda Ke Liye. Since then, she has also appeared in movie BOL. 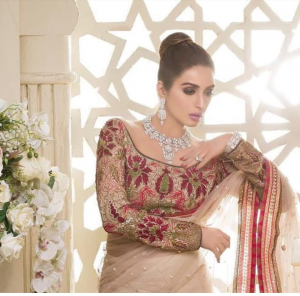 Here have clicks from Iman Ali’s recent photoshoot for a Jewellary brand in which she wore a Saree along with silver necklace. Anam Goher celebrating her birthday at Pakistan’s Independence Day ! 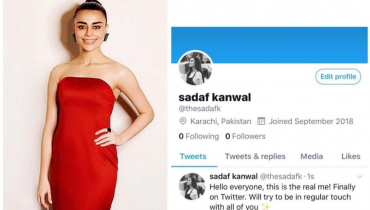 Sadaf Kanwal finally joined twitter !